Control Knobs have Blue LED Lights. Propane Hose and Regulator Included. Four main 304 Stainless Steel Burners. 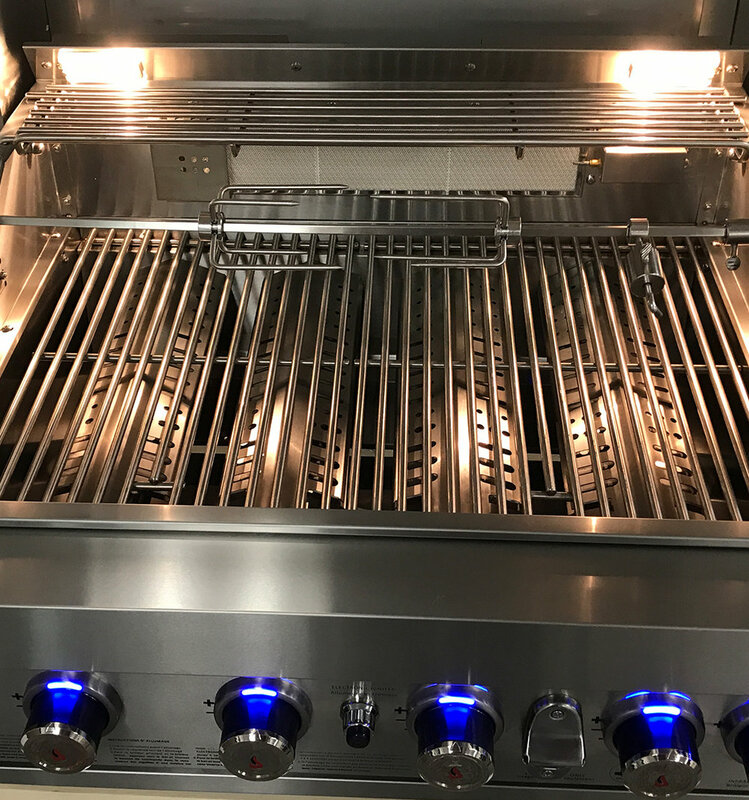 All Stainless Steel Cooking Components. 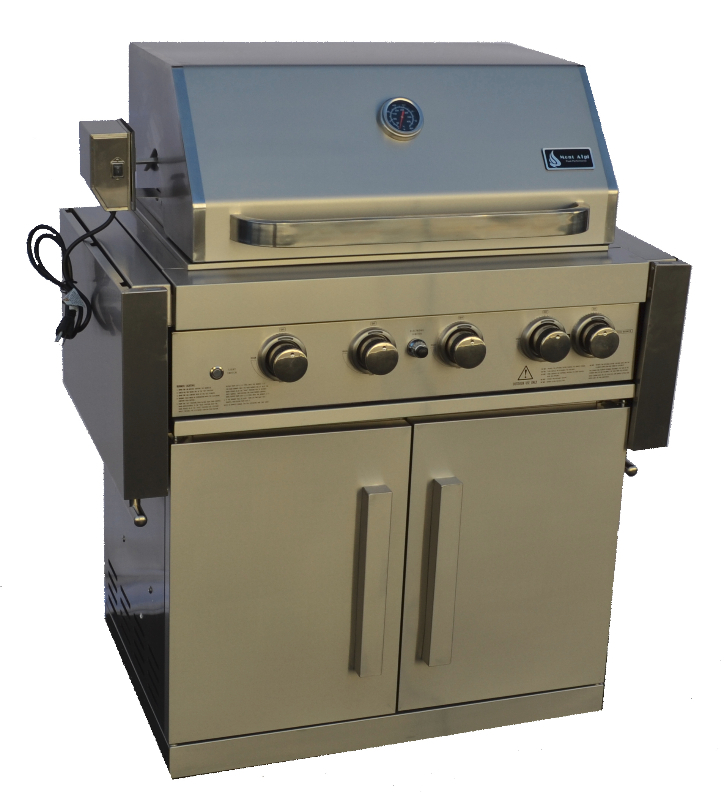 8mm 304 S/Steel Cooking Grills. Rotisserie Kit with Heavy Duty Electric Motor (included). Cast-Iron Griddle Plate (not included). Two Cooking Surface Halogen Lights.